Let us help you, with our fantastic benefits and professional looking profile pages, that can help you get more customers, and more business than ever before! Retailers can find you (including photos and more) in all categories that are specific to your industry. 24/7 access to your online dashboard with real-time traffic updates. Highlight the best of your business. Our professional designers will create unique banner image just for you. 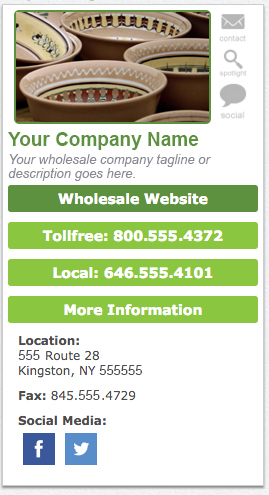 List your company where retailers are looking, on our site and through internet search. Showcase your favorite products right from your profile. Everything about your business all in one place. Add your own photos, links, coupon codes or anything else you want on your exclusive profile page. 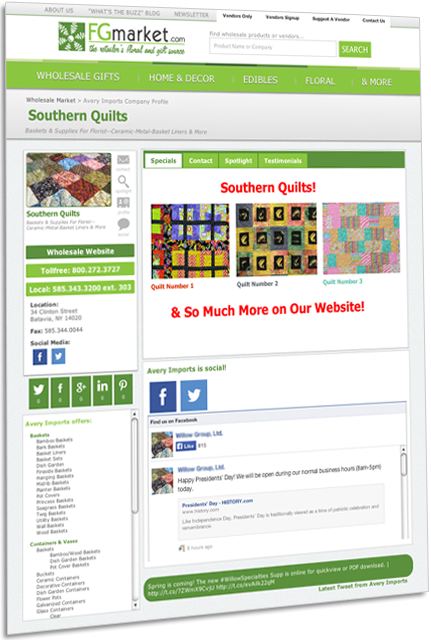 Easily add your own social media links, display your Facebook feed right on your page, show your latest tweet and more. Visitors to your profile page can leave reviews for your company, products and services. Visitors can contact you easily through your profile page contact form. Ready for more new customers? Click here to request a call.